It has been seven months since Mali descended into the abyss of instability and, to date, a solution still seems elusive. The March 2012 Malian crisis started in a region that has been historically marred by four major civil wars: Liberia 1989-1996 and again in 1999-2006; Sierra Leone 1992-2007; Guinea Bissau 1998-1999; and Cote d’Ivoire 1999-2011. Indeed, the challenges in this Sahel region are a historic manifestation of stalled and failed democratization processes, exacerbated by serious deficiencies in anticipating and addressing the structural bases of conflict. A recent research trip to Mali, though limited to Bamako and its surroundings, revealed the depth of both the political and the security crisis. As in many countries across the continent, the democratization process in Mali was manipulated to the extent that the country never managed to pass the stage of transition. Yet, international and some regional development partners praised it as a Sahelian success story of a striving democracy. A critical look at the democratization process in Mali however, pointed to serious and endemic deficits of legitimacy of the political leadership; and weak state institutions, that seems to survive on a fragile, biased and, arguably, pseudo-type of political consensus. Beyond the capital, the state simply could not project its power and authority.Indeed, elections were held regularly and power transferred peacefully from one leader to another in Mali’s political history, but they were marred by a plethora of irregularities to the extent that the electoral process was substantively flawed. Information kept secret and out of the public domain until recently indicates that only 20 percent of the population cast their vote in the last election. There are also indications that there was no effort on the part of the government to educate citizens about their political rights generally, or in relation to the exercise of their vote and participation in their government. The resentment toward the political elite in charge of the country since the 1990s has become the main obstacle to the much needed mutual assent among the social and political forces implicated in the current political quagmire, as well as helping cultivate what essentially would constitute legitimate and decisive leadership to pull Mali out of its deadlock. The institutional crisis that followed the military coup of 20 March 2012 has further complicated the resolution of what arguably is an increasing threat to global peace. Mali has not seen the emergence of a capable, credible, and decisive leader that can influence the course of events. But the leadership vacuum is not only at the national level. The absence of political leadership at regional and international levels also contributes to the prolongation and deterioration of the situation. Last week, Mali’s interim president Diouncounda Traore formally requested the Economic Community of West African States(ECOWAS) to provide military assistance to stabilize the country, in particular, the provision of five battalions to free the north from Islamist forces. In a letter submitted to the Ivorian President Allassane Ouattara, who is the current chair of ECOWAS, President Traore outlined four areas where ECOWAS could assist the Malian government in the restoration of the country’s stability. These include: the securitisation of institutions; the reinforcement of the state’s capacity to adequately fight terror groups; the reorganization of the army, and the restoration of Mali’s territorial integrity. Although the formal request from Mali’s Government of National Unity is an important and desired development, one wonders what implications it might have for the quick return of peace and stability to Mali. 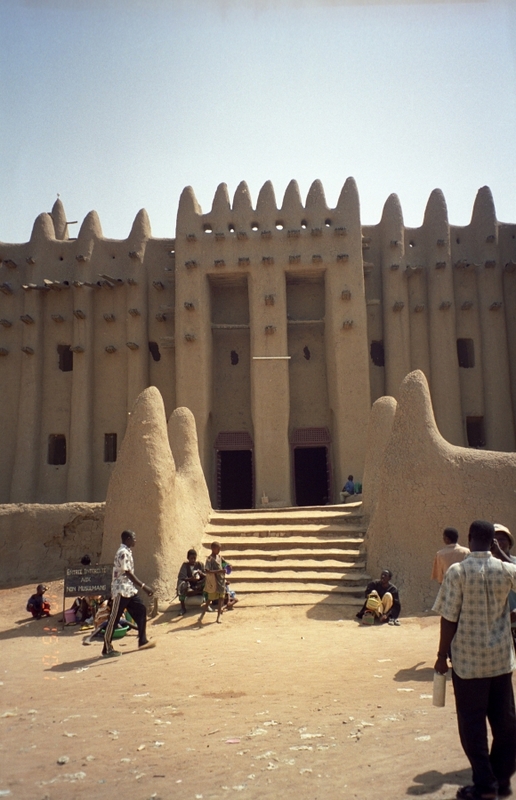 The request came just as Douentza, in central Mali,was captured by the Islamic group MUJAO, raising concerns over the expansionist drive of the groups occupying the north. In an interview with a local media organization, one of the MUJAO leaders, Oumar Ould Hamaha, threatened to take control of Bamako within 24 hours if ECOWAS forces were deployed. Undoubtedly, the implications of this request from Traore in tipping the stakes to the impasse have to be considered. There are two main obstacles that have delayed ECOWAS’ deployment. Firstly, military authorities in Bamako have already rejected ECOWAS’ initial plan for a military intervention. The regional organization then insisted on a three-phased strategy articulated around the securitisation of the transitional institutions, training and equipping the armed forces, and recapturing the occupied regions in the north. All of this hinges on a coherent political transition in Bamako. The first phase became contentious because authorities in Bamako resented ECOWAS’ insistence on securing state institutions in the capital city. While ECOWAS was concerned about a possible repeat of mob attacks on the interim president, military officers perceive the responsibility to protect state institutions as an exclusive mandate of the national armed forces, notwithstanding doubts over the army’s capacity to do this effectively. The junta leader has availed himself of the protection offered in Kati; a military camp that has become the headquarters of the junta since the March 2012 coup d’état. Furthermore, ECOWAS mediation has been flawed with contradictions and confusion from the onset, and these inherent weaknesses in the mediation strategy do not help to improve ECOWAS credibility with the Malian population or prevent local political and military actors from distorting the organization’s motives. ECOWAS’ political image is becoming worryingly dented to the extent that it has been portrayed as a major obstacle to restoring territorial integrity in Mali, allegedly by blocking the armament shipments destined for the country. Secondly, a coherent transitional political architecture in Bamako would be needed in any initiative aimed at freeing the north. On 27 July 2012, President Traore presented the structure of the transitional arrangement, but political intrigues managed to delay the establishment of the government of national unity. The announcement of the government on 20 August 2012 displayed a new political configuration that some observers believed has restored the hegemony of the previously discredited Prime Minister Cheick Modibo Diarra; the junta leader Amadou Haya Sanogo (surprisingly quiet, but highly active in influencing the transition process); and the Islamic Council, which is playing an increasingly political role filling the void left by discredited political parties. This political configuration has further weakened the main political parties, which are blamed for the generally failed democratization process in Mali. This, in turn, has prolonged the agony of those trapped in the northern region, while it is difficult to anticipate what the reaction from the UN Security Council, the African Union, and ECOWAS might be in the next few months. Indeed, many questions remain unanswered. For instance, it is not clear whether political and military actors have finally reached a consensus on the contentious issue of the securitization of state institutions. This single item has polarized political and military authorities in Mali, on the one hand, and the Malian and ECOWAS leadership on the other. Added to this is the political significance of the letter itself – whether the formal request for assistance from the interim president will ultimately remove some of the remaining obstacles hindering ECOWAS and regional partners from acting decisively. While ECOWAS was expecting a formal request from the authorities in Bamako, and insisted on a coherent political transition, a remaining challenge is getting the UN Security Council to grant a mandate for an eventual military intervention. Additionally, how to broaden the response mechanism to key extra-regional actors, such as Algeria, Mauritania, Morocco, and Chad, is rather muted. It appears, however, that the idea of a military intervention is losing steam among some member states. The danger here is that the Islamist groups could benefit from this procrastination and the confusion in the mediation process. The aim of the groups might not necessarily be the spread of radical Islam, as claimed, but to gain and consolidate control over a safe haven for criminal activities. This poses a potential threat to regional and international peace and security. There is valid concern that the situation in Mali could become even more complex as the Islamic forces move further south, especially if the uncertain political dynamics in Bamako and the junta interference persist. President Traore’s letter to ECOWAS might be timely but the regional body, the AU, the UN, and the main development partners still have to decide on the substantive aspects of their intervention strategy and the seemingly unavoidable deployment of troops to Mali in a way that avoids further escalation of the conflict. Despite all these uncertainties, two main outcomes should remain at the top of the agenda: the north needs to be reclaimed; and elections must occur, albeit in a politically conducive environment, in order to move the country beyond the precarious nature of its current transitional process. While most of the stakeholders to the crisis agree, it is still not clear when exactly the elections will be held or what mechanisms are needed for ensuring a conducive political climate for their organisations. As the dynamics become more convoluted with each passing day, time is no longer a luxury in this venture. The current crisis is Mali needs to be seen as a warning to countries that are diverting democratization, critical institution-building, and good governance from their right course. While Africa has seen a considerable decline in active armed conflicts, the continent seems to be experiencing political stagnation and increasing political violence emanating from deliberate attempts by leaders to manipulate existing political, social, ethnic, and religious differences. Political activities have become a serious threat to peace and prosperity in many countries. Resistance to genuine democratization has manifested itself through many incidents of election-related political violence. As the methods of political manipulation become subtler, the reactions of citizens – generally, large groups of young people without many socio-economic opportunities – seem to be becoming increasingly violent. In seeking to resolve the crisis in Mali, it is imperative to get the democratization process on track and reinforce it with socio-economic opportunities for the youth. But for this to happen, decisive leadership is an imperative.